"Being a werewolf isn't just teeth and claws," she said, her lips brushing my ear she was so close, so quiet, "it's inside. It's how you look a the world. It's how the world looks back at you." When you grow up on the outside, the rules don't apply to you in the same way. When survival is the primary mission, everything else takes a back seat. 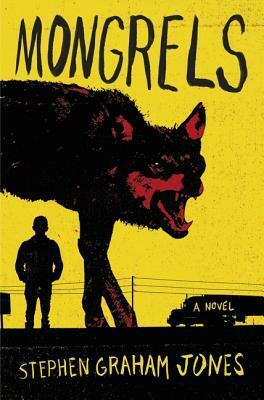 In Mongrels, Stephen Graham Jones has rendered a picture of life that is equal parts bitterness and tenderness. He's captured a reality lived by many and rejected by many more. It's a life dictated by circumstance, but also by the fear it engenders in those watching from a distance. Yet it is also filled with love and directed by hope and passion, insatiable curiosity and endless creativity. It is not an easy life, but it does not need or want our pity. It is strong and fierce and will stand on its own. Stephen Graham Jones writes with heart. His characters hold an intrinsic, whole-person-level beauty and depth that makes them come alive. His world is complicated, as hard as it is soft, and filled with wonder.